Barack Obama and his Foreign Minister maybe right what they said, (both should be congratulated in anticipation for effective policy to win Presidential elections 2012), but they should at least disclose the reason behind the enmity between USA and Osama. 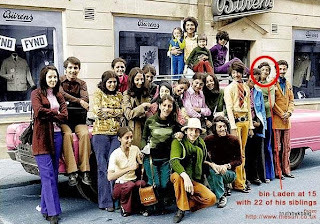 Osama was blue-eyed boy and closely linked with Bush family. 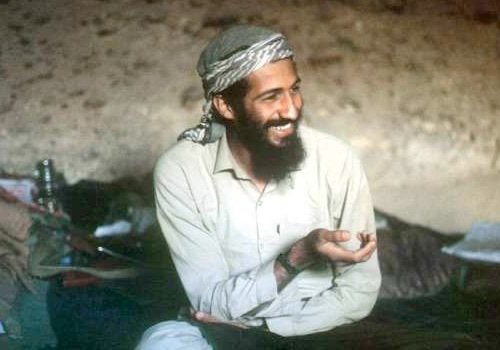 His father Bin Laden had not only friendly but also business ties with the Bush family. That is why when two airplanes crashed with the Twin Towers of WTC, as a precaution all the planes were downed, but in this emergency one airplane was allowed to be airborne carrying children and siblings of Osama Bin Laden. On the orders of White House the airplane was secretly taking family of Osama to safe place outside of USA, At least why? 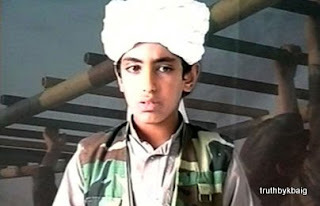 Now Americans claim that in the operation against Osama, his youngest son has been killed along with wife of Osama. Here before discussing the dispute between Osama and USA, we should discuss the operation conducted in Abottabad on the midnight of 1st May. On the midnight of 1st May different private Pakistani TV channels gave the Breaking News that a helicopter of Pakistan Army has crashed in Abottabad near Pakistan Military Academy (PMA), Kakul. Until sunrise, these TV channels were reporting that a Pakistani helicopter on training mission has crashed due to some technical fault, while the two pilots died in this crash. It was also reported that before crash, sounds of firing and blast were also heard. However, it was assumed that sounds of firing were probably of the rounds fired by under training cadets at PMA. International media was also reporting same news. After the late sunrise, American electronic media broke the brief news that Osama had died in a military operation conducted in Abottabad. Right after this American President Obama, congratulated Americans over the death of Osama. A tsunami of reports about the death of Osama was seen on the world media. One was trying to show exclusive reports of the celebrations by Americans, (the celebrations over the death of a person in the world’s most civilized nation is slap over civilization) other were telecasting analyses. In these analyses one was given by famous analyst Robert Fisk talking live to Al-Jazeera from Beirut said, “Lebanese do not accept American claim that Osama has been killed in Pakistani City Abottabad ”. Probably anchorperson was not ready for such reply, on his objection Robert explained that Lebanese are of the view, if in near future Osama returns in any new video recording than no one will be able to save Obama from defeat in Presidential election. In this way he explained that murder of Osama has been staged just to win the Presidential elections in 2012. Right after this conversation a footage of Benazir Bhutto’s interview in 2007 to Larry King, representative of Al-Jazeera TV was played in which she claimed that Osama has been killed. Not only in Pakistan but also in international media Objections on the operation against Osama are raised as well. 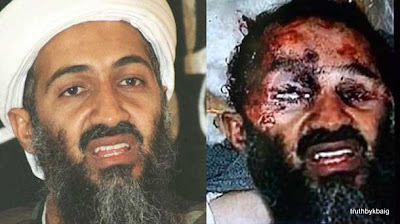 According to British News Network, when Osama got aware that he has been besieged, he offered arrest (perhaps to save his wife and son), but American soldiers fired at his forehead. Here objection is why Osama was not arrested alive while he was ready to surrender? There is evidence that Osama did not resist and was unarmed. Neither any weapon nor any explosives were discovered in the home. Moreover any possible resistance could have been handled by using paralyzing gas. American officials are claiming that Osama used women as hostage to avoid arrest, so his wife was killed as Americans fired bullets. 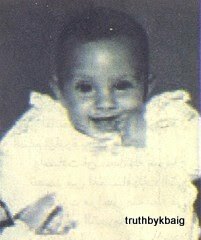 At first the picture of a person looking like Osama was issued to the media, without any explanation. But when the critics criticized that dead person was of the half of the age of Osama and much healthy than Osama, after these objections on the 2nd day USA explained that no picture has been issued by US govt. However the video recording of the operation will be released soon. When this recording was shown, there was nothing more than American commandoes shooting in the dark without any target, but not a single human or living being was observed. How Osama was targeted, how his dead body was moved, and if US had really succeeded in killing one of the notorious terrorists why his dead body was buried at sea in such haste? He was murderer of hundreds of Americans, they were celebrating his death, in such a situation why did not American army shift his corpse to USA, shown it to international media, started a trial against him so that everyone could have seen the justice with his own eyes? Than this means that the person slain by Americans was not Osama or he was not present there at all, actual story is much different. The month of June is on head, Obama is loosing his credibility in USA day by day, on the financial bills Republicans in Congress were giving hard time to ruling party. Only one year has been left from Presidential elections while Obama has yet to fulfill his promise of withdrawal of troops from Afghanistan. Whit House is also worried to safeguard its interests in Afghanistan. Under such pressures US is ready to give some provinces under control of Taliban. The painful talks are going on to reach a mutually accepted agreement. During this entire tense situation, suddenly MH-60 helicopters get airborne from Jalalabad in the dark of night, carrying personnel from CLASSIFIED STANDING TASK FORCE, SPECIAL MISSION UNITS & Navy SEALs. Through the satellite, President Obama was supervising the mission along with his defense team. Before entrance into Pakistan, with the support of Technical Application Programs Office and Aviation Technology Evaluation Group, RADAR system of Pakistan was partially jammed in such a way so that it cannot observe American invaders. As the Air Defense System of Pakistan is provided by USA, so they know how to hack it. According to White House they arrived in Abottabad, exchanged bullets for forty minutes, took the dead bodies of Osama and few other persons and departed back. 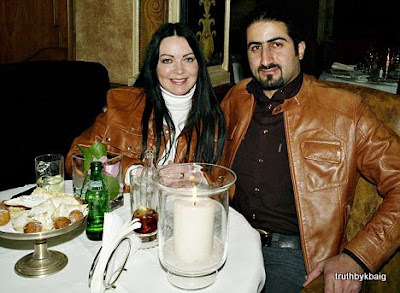 Nothing has been disclosed about the persons arrested alive. At the same time White House claims that Osama did not resist and no weapons were discovered inside the house, than US commandoes were firing bullets for what for forty minutes (Perhaps to awaken the sleeping Pakistani nation)? If you remember the hanging of Saddam Hussein, just in order to show and terrorize the world, he was tried in the court, than breaking all the rules and regulations of the civilized world, he was hanged without covering his face and video recording of this activity was also released. Nevertheless, in case of Osama why all this has been done in such haste? The purpose of throwing Osama’s dead body in the sea is that no evidence could be retrieved if someone goes to the court for DNA test of Osama. There is only one way to end this chaos, Pakistani govt. retrieves blood, finger prints, hair from the comb etc. and conducts a DNA test to verify that the person slain by US commandoes was really Osama. But our rulers can never dare to do that because if it is proved that Osama was not present in the house, Obama will die political death even before elections. Otherwise the story told by inhabitants of Bilal Town, Abottabad is true that near the affected house a person named as Zain Muhammad lived having the same looks as Osama. Now Zain Muhammad could not be traced right from the night of US operation.